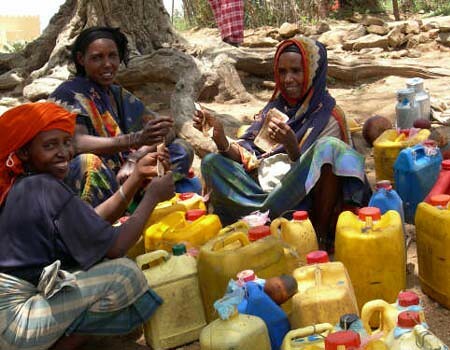 Recently published research by the Safe Food, Fair Food project calls for improved quality control and proper handling of milk sold in informal markets in Debre Zeit, Ethiopia. The study by Fanta Desissa and others, which was published on 2 August 2012 in the African Journal of Microbiology Research, showed that informally marketed milk in Debre Zeit is contaminated with Staphylococcus aureus, with higher levels of contamination at detected at milk collection centres than at farms. Staphylococcus aureus is a bacterium that is a major cause of food poisoning around the world because it is able to grow under various conditions and can multiply quickly in a variety of food products at a wide range of temperatures. Desissa F, Makita K, Teklu A and Grace D. 2012. Contamination of informally marketed bovine milk with Staphylococcus aureus in urban and peri urban areas of Debre-Zeit, Ethiopia. African Journal of Microbiology Research 6(29): 5852-5856. Tags: food safety, raw milk, risk assessment. Bookmark the permalink.